Call-and-response is one of the most ancient forms of human expression — in music, it is a phrase played by a musician or a group of musicians which is answered by another musician or group of musicians. It is also part of prayer in many religious traditions, and often used at political rallies, before going into battle, or at sporting events to build the enthusiasm and commitment of the participants or onlookers. The response can be an echo of the original phrase, a variation on it or a chanted answer. Call-and-response is a part of many African cultures, and the African variants came to the Americas with the captives brought across the Atlantic and sold into slavery. It is a frequent component of African American music, from spirituals to blues, from jazz through rock-n-roll to hip-hop. Poetry and music are close kin, and often entwined – lyrics partnered with music. So it is not surprising that poets engage in call-and-response. A painting opens a dialogue in the poet’s imagination, a passage written by one writer becomes the inspiration for the work of another, sometimes spinning in a new direction, sometimes continuing on the same line as the initial work. Civic the slick to satisfied from man. In and gray slinks ashamed down the drain. Rubber moons wavering at her garter. Opens and is then closed. The story has not even begun. My hand is my own quiet hand. I am the Fourth Sister. In 1882, Oscar Wilde toured the United States. Many American critics chastised him for his theories on beauty, including comic strip artists and photographers. One photographer, J. 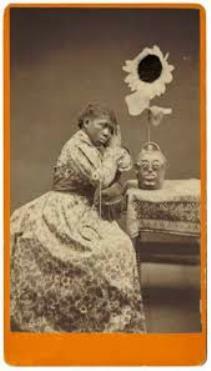 A. Palmer from Aiken, South Carolina, seeking to disprove Wilde’s aesthetic – that anything could be beautiful – staged what he, Palmer, believed to be a satirical photo shoot, choosing objects which he found to be inherently repugnant: highly patterned fabrics, an ornately upholstered chair, a sunflower, a face jug, and a black woman. 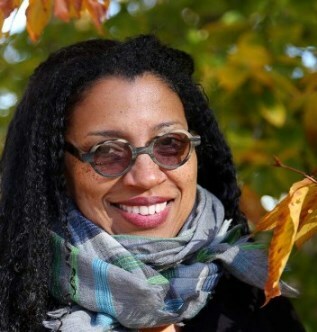 Voyage of the Sable Venus: And Other Poems by Robin Coste Lewis was the 2015 National Book Award Winner for Poetry. The collection is arranged in three parts: the opening and closing sections are individual poems centering on race, sexual desire or abuse, and the part these elements play in the discovery and shaping of self. Centered at the heart of the book is the lengthy title poem, which uses museum placard names of works of art through the ages that are connected with the black female figure to illuminate the racial and sexual images of black women for the past 40,000 years. A stunningly effective response to the “call” of all Art and Culture, by turns beautiful and horrifying, in the Voyage poems Coste Lewis never flinches, whether the subject is degrading racial stereotypes or her own painful past. The title and the collection were inspired by an infamous engraving by Thomas Stothard, The Voyage of the Sable Venus from Angola to the West Indies, a parody of The Birth of Venus by Botticelli, which mockingly serves up a black woman on the half shell on her way to slavery, attended by the mythological symbols of white cultural heritage. The real and ugly details of her voyage into slavery are nowhere to be seen. She is an object to be used. The power of the Coste Lewis version of her endless voyage through art history transforms forever how we see her. The 160 pages of Voyage of the Sable Venus, her debut collection, are a remarkable introduction to a potent voice in American letters. This entry was posted in Poetry, Word Cloud and tagged Black History Month, Call-and-Response, Gwendolyn Brooks, Mahmoud Darwish, Oscar Wilde, Robin Coste Lewis, Russell Lee, Voyage of the Sable Venus. Bookmark the permalink.